What is solomon’s plume? 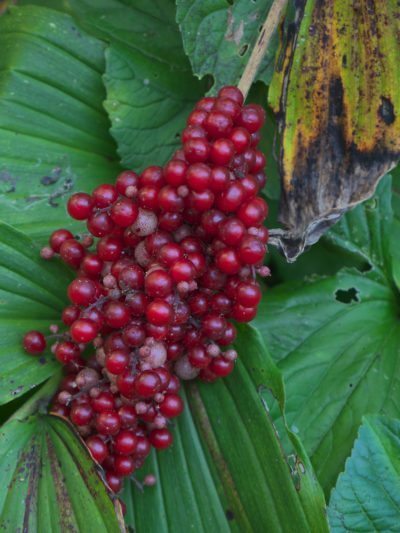 Also known by alternate names such false solomon’s seal, feathery solomon’s seal or false spikenard, solomon’s plume (Smilacina racemosa) is a tall plant with graceful, arching stems and oval-shaped leaves. 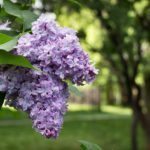 Clusters of fragrant, creamy white or pale green blooms appear in mid- to late spring, soon to be replaced by spotted green and purple berries that ripen to a deep red in late summer. The plant is highly attractive to birds and butterflies. Interested in growing solomon’s plume in your garden? Read on to learn how. Solomon’s plume is native to wooded areas and thickets across much of the United States and Canada. It thrives in the cool temperatures of USDA plant hardiness zones 4 through 7, but may tolerate warmer climates of zones 8 and 9. It is well behaved and not considered aggressive or invasive. This woodland plant tolerates nearly any type of well-drained soil, but blooms best in moist, rich, acidic soil. Solomon’s plume is well suited for woodland gardens, rain gardens, or other shady or semi-shady areas. Plant seeds directly in the garden as soon as they ripen in fall, or stratify them for two months at 40 F. (4 C.). Keep in mind that germination of stratified seeds may take at least three months, and maybe up to a couple of years. You can also divide mature plants in spring or fall, but avoid dividing the plant until it has been in one place for three years. Once established, solomon’s plume care is uninvolved. Basically, just water regularly, as solomon’s plume doesn’t tolerate dry soil. Note: Although birds love the berries of solomon’s plume, they are mildly toxic to humans and may cause vomiting and diarrhea. The tender shoots are safe to eat and can be eaten raw or prepared like asparagus. Read more articles about Solomon's Plume.